Available in either white, milk or dark chocolate. The shoe is made in one piece, 125 mm in length with a variety of dusting colour options. 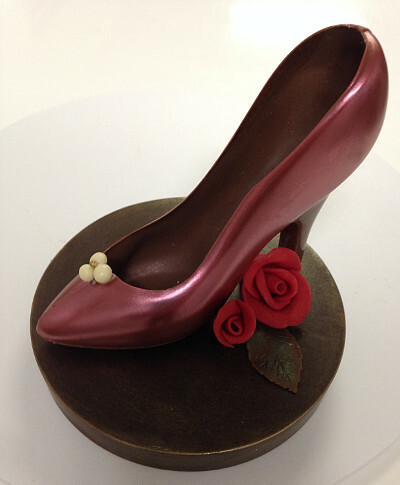 Shoe has chocolate decoration and is mounted on solid chocolate base with hand moulded chocolate roses and leaf. Presented wrapped in clear cellophane with ribbon and tag trim. Available by order only. This is a delicate items not suitable for mail order. Only available by advance order for pick up. Not suitable for posting. 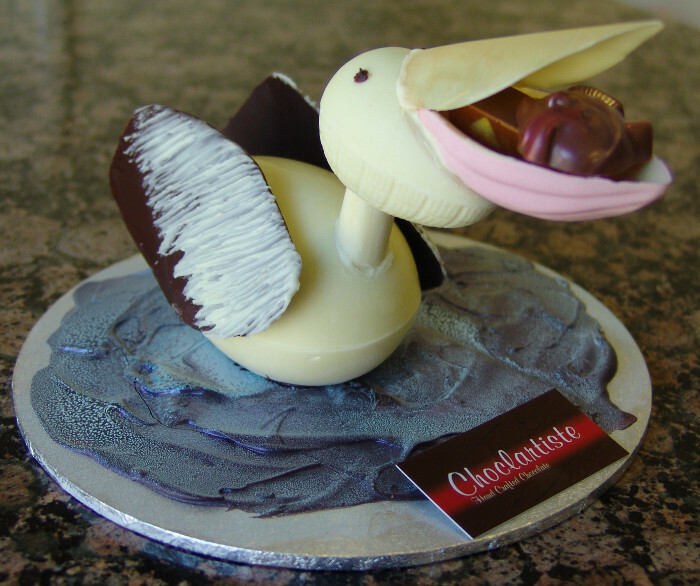 A love of Pelicans was the reason for this all chocolate gift piece. 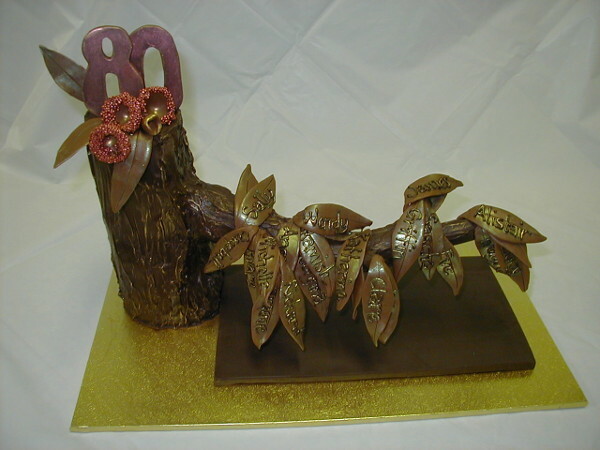 A keen interest in family history was the basis for this sculptured birthday piece. 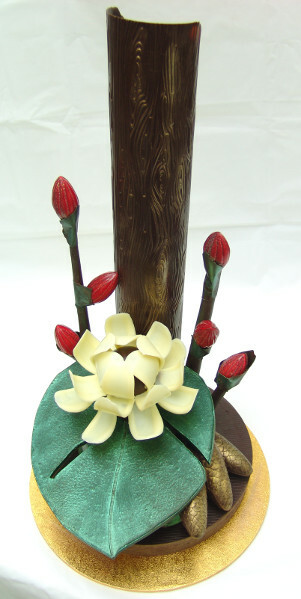 Mounted on a gold foil board for ease of handling, this floral piece is made of white, milk and 53% dark Belgian chocolate. 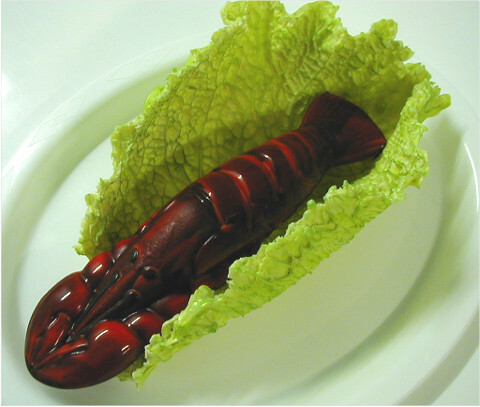 Standing at just over 400mm tall and weighing approximately 2.4kg, the piece is totally edible. 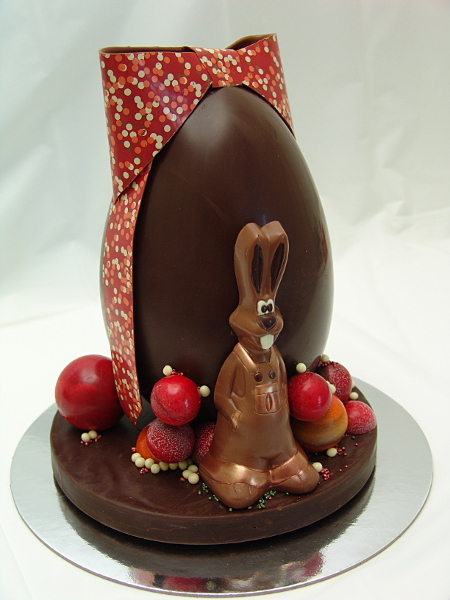 The totally edible milk & 53% dark Belgian chocolate structure stands about 300mm tall, is mounted on a foil board (for ease of handling) and weighs about 1.6kg. 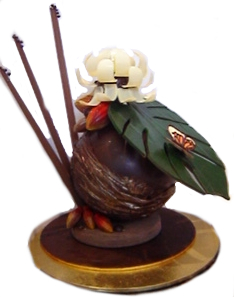 Totally edible construction of Belgian chocolate mounted on presentation boards.